Parking is limited and attendees are encouraged to carpool. Additional over-flow parking is available next door at the Radisson Hotel Seattle Airport. $25 early registration for Chamber Members. $35 after September 20th. For addition Event details or for questions about registration please contact Emma Oglesby at 206-575-1633 or by email. 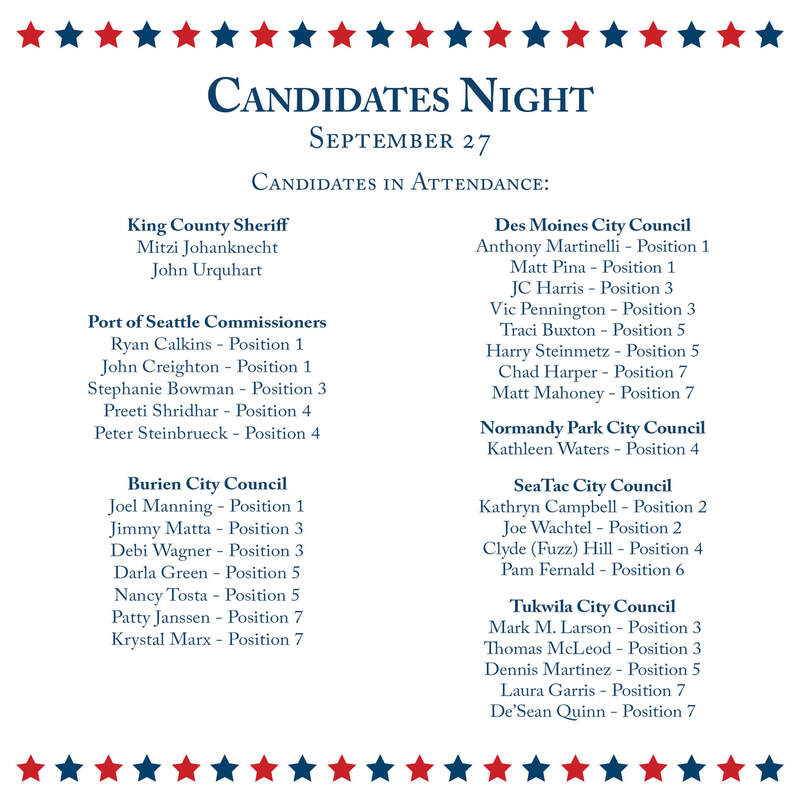 We have invited the candidates running for King County Sheriff, City Council (Burien, Des Moines, Normandy Park, SeaTac and Tukwila) and the Port of Seattle Commissioners Positions to attend, and to meet and greet with Chamber members. 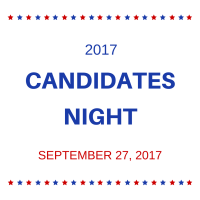 All candidates in attendance will also have an opportunity to address the full audience. 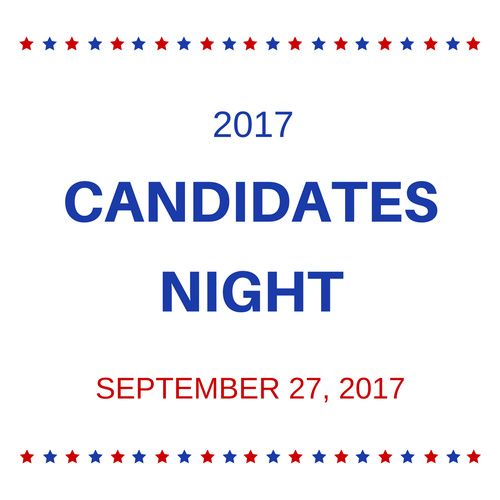 We hope you will join us in this opportunity to engage with our future elected officials. Thank you to our host, Red Lion Hotel Seattle Airport and our Presenting Sponsors, The Boeing Company, Kidder Mathews, and MasterPark. Also to our event sponsors, Baker Commodities, Crain Photography, Louise Strander, the Radisson Hotel Seattle Airport, and South King Media.